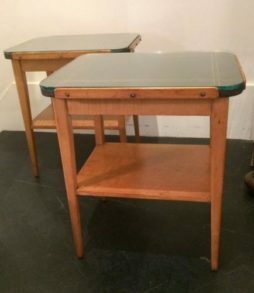 B & T Antiques | Interior Boutiques – Antiques for sale and mid century modern furniture, french furniture, antique lighting, retro furniture and danish furniture. 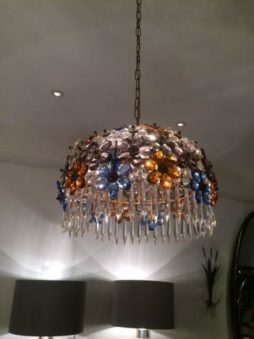 In September 2012 the shop relocated to a beautiful new showroom at 118 Talbot Road, close to the heart of the world famous Portobello market. 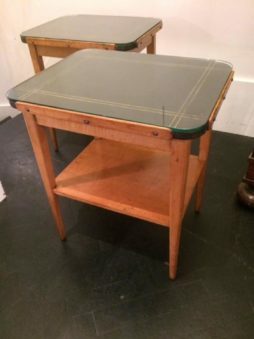 The new gallery has two bright and airy floors that showcase a large selection of hand picked antique furniture dating from the 1930s to the 60's. 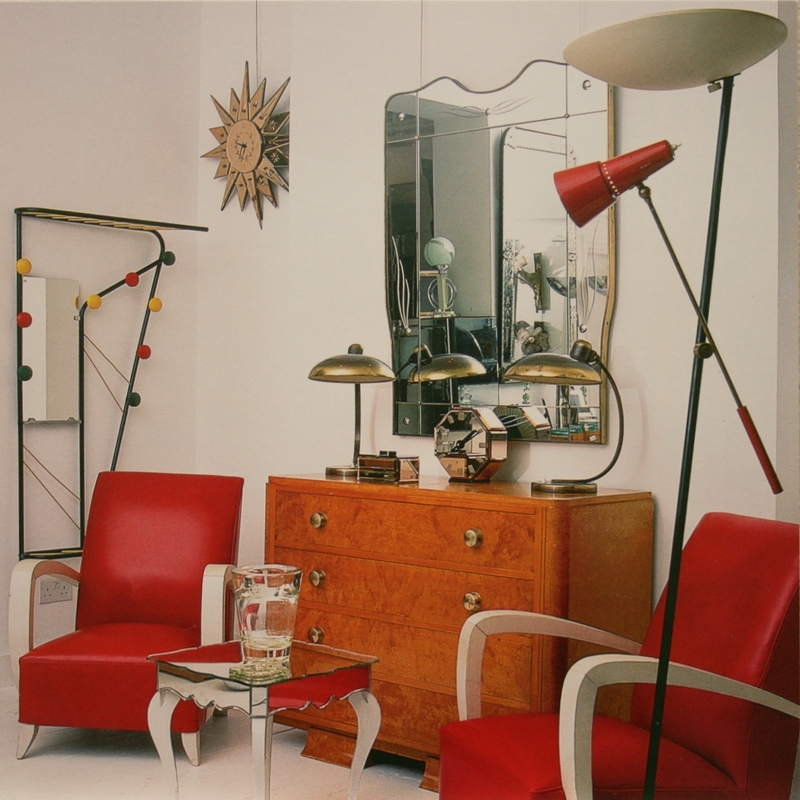 The stock includes genuine French mirrored furniture, lighting, seating, and mirrors. A terrific collection of vintage mirrored frames, boxes etc.. is always available. Ideal place to look for a unique gift! A treasure trove for a beautiful wedding present! The showroom opening hours are 10am to 6pm from Monday to Saturday. An appointment can be made outside these hours either by phone or email. 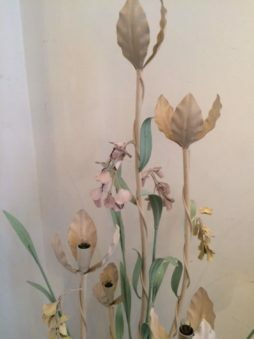 Read more about Bernadette Lewis and the inspiration behind B&T Antiques on Caroline Kamp's Indie of the Week blog. 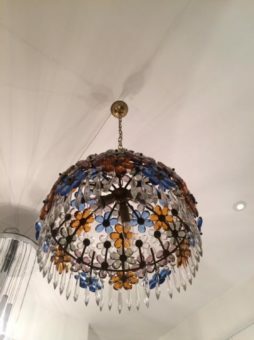 A very colourful and original dome-shaped ceiling light. A plain glass fringe hanging below the multi-colour flowers of the dome. Murano, Italy. A pair of wooden, two-tier side tables by Lazlo Hoenig, oozing quality as well as practicality and beauty like all pieces of this talented designer. 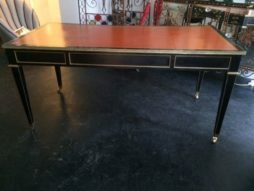 A thick glass with rounded corners covers the gold embossed leather top. English, ca.1950s. 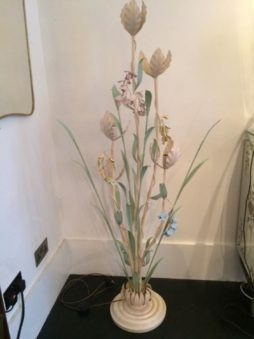 ‘Wisteria’ is the name of this beautiful, 5-light floor or table top metal lamp painted in exquisitely delicate colours. A real classic of the French 1950s. 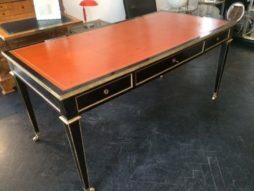 Large 3-drawer ebonised centre desk in the style of Maison Jansen. The striking orange colour of the leather top creates a strong contrast against the severity of the black . Details like the ridged gilt bronze outline, the bronze sabots on castors and the 'gold' mounts make of this piece a perfect example of French elegance. Ca.1960s. 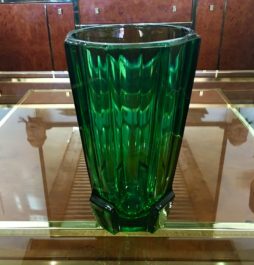 Emerald glass vase C1930. Excellent condition. 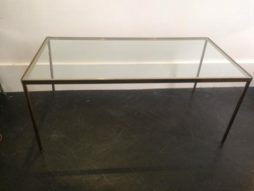 A rectangular brass framed coffee table of a very simple, pure design that makes it ageless and fitting for any style decor. European, ca. 1960s. 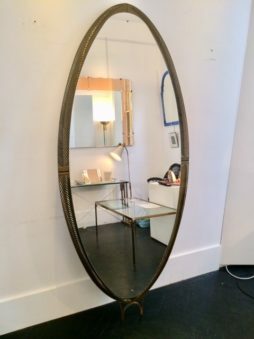 A large oval mirror with a subtle brass frame. 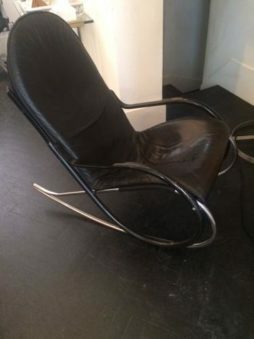 Its streamlined shape gives it a stylish and unusual look. Italian, ca. 1950s. 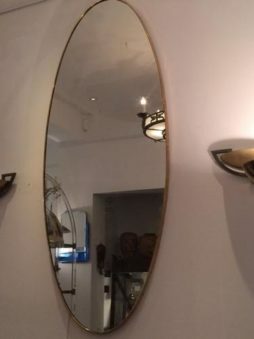 An amazing, oval-shaped hanging mirror. 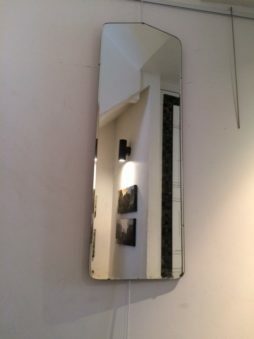 Apart from its exceptional size, this mirror is a perfect example of Italian quality and design. It is framed by bronzed herringbone pattern cut-glass and has a brass decoration on the base. Italian, ca.1940/50s. A bevelled mirror with slightly pitched top and rounded corners, beautiful in its simplicity. 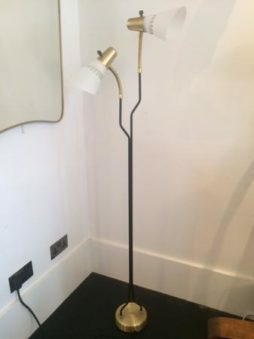 Brass floor lamp with black painted stem and original glass shades. Ca. 1950s. 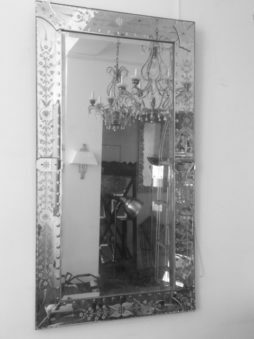 A pair of large Venetian glass style mirrors with floral motifdecorations on frame.